Aye aye aye. It’s a sign of the times. Over the last year and a half, the mortgage market has undergone more changes than in any comparable period since the Great Depression of the 1930s. The current housing market malaise has some homeowners up in arms. With the threat of losing their house on their shoulders, the idea of burning their credit is unnerving. 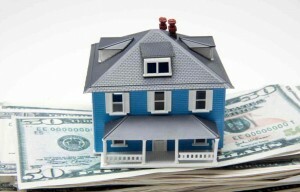 Just how do Morgage Lates, Short Sales, Foreclosures and Bankruptcies affect your credit? 1. Credit score can drop 100 – 180 points. 2. Other credit interest rates could be affected (credit cards, equity lines). 3. No new mortgage for 12 – 24 months, depending on the circumstances. 1. Credit score can drop 180 – 250 points. 2. Other credit interest rates could be affected. 3. No new mortgage for a minimum of 2 years, depending on the circumstances. 3. No new mortgage for 3 – 7 years, depending on the circumstances. 4. Will need a minimum of 680 credit score and 10% down on next purchase. 1. Credit score can drop 200 – 300 points. 3. No new mortgage for 2 – 4 years, depending on the circumstances and type of bankruptcy. Vince can be reached at (510) 527-2840. 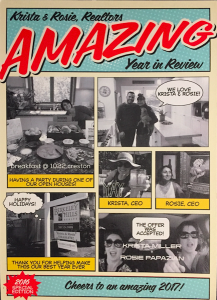 The Krista + Rosie team had such a blast this past year, in part due to all of the awesome people we helped out this year. We are truly blessed to live her, play here, and work here. Want to be on our mailing list too? Drop us a line and we can send you a card.